Last.fm uses an app, called the scrobbler, to not only track the artists, songs, and albums you listen to the most, but it also creates your own social media page with your own radio station! If you have a song on your device that is in the last.fm library, when you scrobble it, it gets added to your own radio station. People can then go to your page and listen to the music you listen to! Additionally, they let you know when your artists are playing in your area, when they release new material, and they'll even recommend similar artists you might really like, Last.fm really is a terrific service that is 100% free! 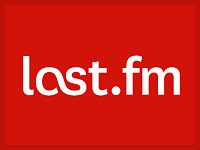 You can check out my last.fm page and radio station by clicking the link in the links section. 12) The Exies - F.S.O.S.